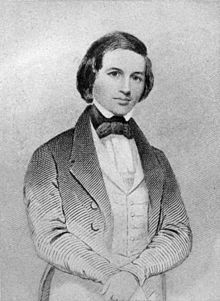 Timothy Shay Arthur (June 6, 1809 – March 6, 1885), known as T.S. Arthur, was a popular 19th-century American author. He is most famous for his temperance novel Ten Nights in a Bar-Room and What I Saw There (1854), which helped demonize alcohol in the eyes of the American public. The gratification of one desire only makes way for another still more exacting.